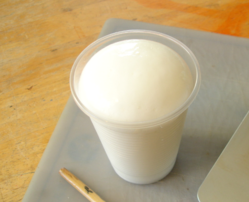 Mould Release Agent from Technomak are used in numerous ways in the production of polyurethanes products. They ensure easy handling and a clean removal of the PU-component from the mould. This offers our customers specific process advantages. They include high cost-efficiency, reduced processing times and minimized rejection rates. For decades Techno Mak have been prominent in the development of environmentally friendly release agents including solvent-free and water-based systems. Due to our specialized production small quantities are also available. Our Rigid Polyurethane Foam Release Agents are applicable to various rigid PU foam moulding applications like pipe sections, discontinuous sandwich panels and high density moulded articles etc. Our mold release agent Flexible Polyurethane Foam Mold Release Agentseries are well proven for it's class and applicable in wide range of Flexible moulded foam application like Automotive seating, Furniture seating, Head rests and other moulded flexible PU pads etc..
Our Shoe Sole Polyurethane Mold Release Agents are applicable to wide range of unit sole polyurethane, shoe sole application. Our custom based formula applicable to for both polyether and polyester based system which can meet glossy or mat finishing. We are the best manufacturer and supplier of a high quality range of Silicone Syloff Dow Corning. The entire assortment of this product is made by our experts with the usage of progressive technology & finest material. Also, our given Silicone Syloff Dow Corning are examined under the observation of quality inspectors to deliver defect free range. These Product expansively applauded in a various industries & provided at affordable rates. We are the best manufacturer and supplier of a high quality range of Release Agent. The entire assortment of this product is made by our experts with the usage of progressive technology & finest material. Also, our given Release Agent are examined under the observation of quality inspectors to deliver defect free range. These Product expansively applauded in a various industries & provided at affordable rates. We are the best manufacturer and supplier of a high quality range of Silicone GE. 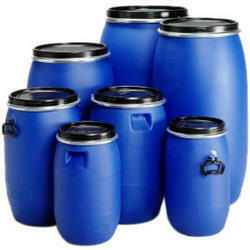 The entire assortment of this product is made by our experts with the usage of progressive technology & finest material. Also, our given Silicone GE are examined under the observation of quality inspectors to deliver defect free range. These Product expansively applauded in a various industries & provided at affordable rates. We are the best manufacturer and supplier of a high quality range of Munch Mold Release Agent.The entire assortment of this product is made by our experts with the usage of progressive technology & finest material. Also, our given Munch Mold Release Agent are examined under the observation of quality inspectors to deliver defect free range. These Product expansively applauded in a various industries & provided at affordable rates. We are the best manufacturer and supplier of a high quality range of Mould Releasing Agent.The entire assortment of this product is made by our experts with the usage of progressive technology & finest material. Also, our given Mould Releasing Agent are examined under the observation of quality inspectors to deliver defect free range. These Product expansively applauded in a various industries & provided at affordable rates. We are the best manufacturer and supplier of a high quality range of Water Dilutable Mold Release Agent.The entire assortment of this product is made by our experts with the usage of progressive technology & finest material. Also, our given Water Dilutable Mold Release Agent are examined under the observation of quality inspectors to deliver defect free range. These Product expansively applauded in a various industries & provided at affordable rates. 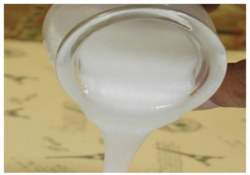 Mould Release Agent for Polyurethane Foamingfrom Technomak are used in numerous ways in the production of polyurethanes products. They ensure easy handling and a clean removal of the PU-component from the mould. This offers our customers specific process advantages. They include high cost-efficiency, reduced processing times and minimized rejection rates. For decades Techno Mak have been prominent in the development of environmentally friendly release agents including solvent-free and water-based systems. Due to our specialized production small quantities are also available. We are the best manufacturer and supplier of a high quality range of Silicone Wacker Chemie. The entire assortment of this product is made by our experts with the usage of progressive technology & finest material. Also, our given Silicone Wacker Chemie are examined under the observation of quality inspectors to deliver defect free range. These Product expansively applauded in a various industries & provided at affordable rates. 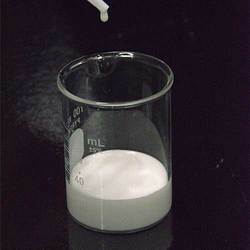 We are the best manufacturer and supplier of a high quality range of PU Release Agent. The entire assortment of this product is made by our experts with the usage of progressive technology & finest material. Also, our given PU Release Agent are examined under the observation of quality inspectors to deliver defect free range. These Product expansively applauded in a various industries & provided at affordable rates.